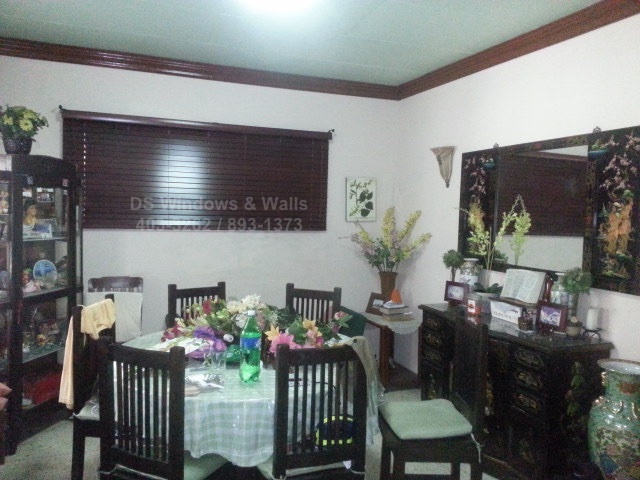 For this article we’ll be featuring a client from Red-V Lucena City that chose mahogany color basswood blinds as replacement for her old style curtains around her house. These types of window blinds is made from Tilia tree and is commonly referred to as basswood. These woods are also ideal for wood carving, model building, and musical instruments such as guitars because of its acoustic properties. Compared to other types of wood, the basswood is also a lot lighter that’s why it is pretty much the only material used as blinds. Its lightness makes the blinds easier to pull up and manipulate even if it’s wide and tall. The widest slat we have currently is up to 2.4 meters. 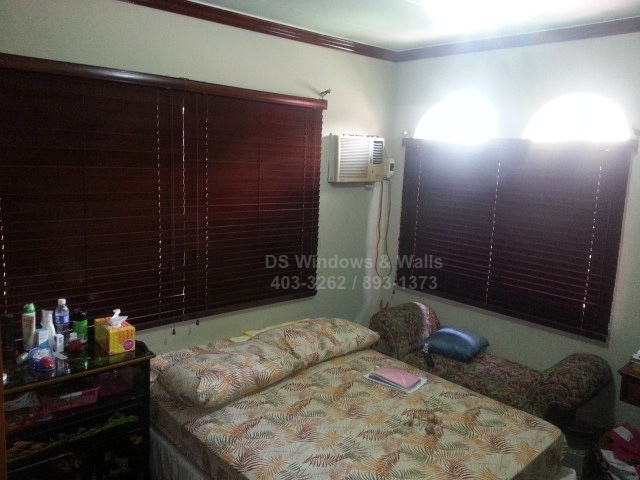 The mahogany color, like the featured wood blinds here, is reddish brown in color. From afar it could look like dark brown and is very classic looking. If you’re living in a subdivision, as opposed to condominium or high-rise building, wood blinds can really shine and gives the impression of a lasting elegance. In Metro Manila where condo units are more predominant than subdivisions, you might want to opt for wood blinds or faux wood blinds if you want to be more distinctive since roller or combi blinds are more prevalent in condominiums. The wood blinds chosen by our featured client here is a perfect match in their dining area. 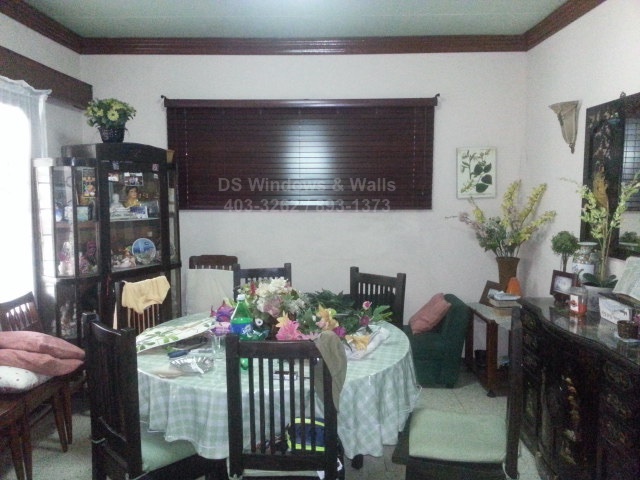 Notice the colors of their cornisa, chairs and furniture that matches the color of their mahogany colored wood blinds. This color is not possible in fabric-based window blinds and shades and is also rare for PVC or aluminum based blinds. Only wood or faux (pvc type) wood blinds can bring you this classic and elegant color to your interior. Lastly, in the above photo our client chose to retain the curtains for their living room. This curtain can also be used as additional covering or as a temporary cover when our client decides to pull out the wood blinds for cleaning. All in all our client is happy with their window cover investment that her family will love for a very long time. 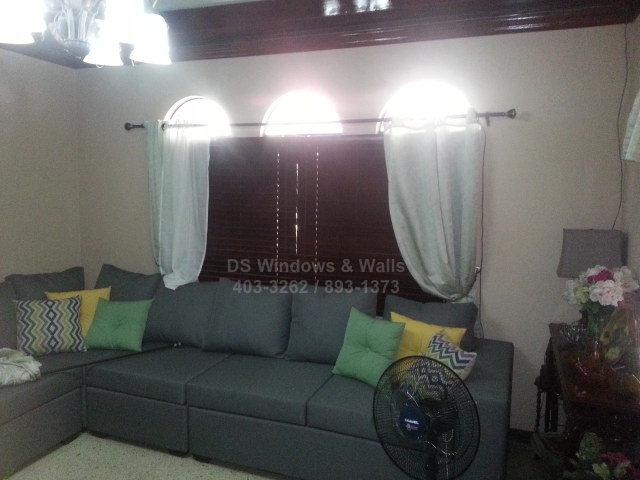 If you’re interested with our free measurement and estimate please don’t hesitate to call us at (02) 403-3262 / (02) 893-1373 / (02) 668-9668 or email us at inquiry@dswindows.com. Or visit us in one one of our store branch in the malls.